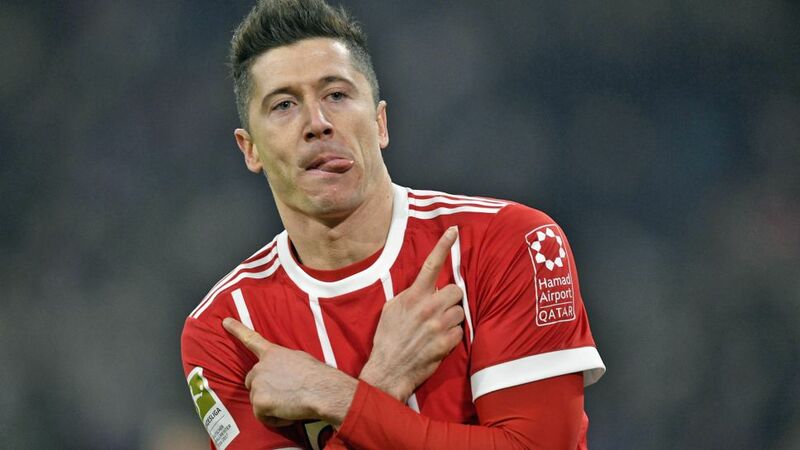 Robert Lewandowski has been tipped to fire his way into the top three of the Bundesliga's all-time scoring charts by Jupp Heynckes – the man who currently occupies third place. Heynckes netted 220 goals in 269 Bundesliga outings during Borussia Mönchengladbach's 1970s heyday, but believes that eye-watering haul is not going to be enough to keep him ahead of his prized Bayern Munich No.9. Lewandowski took his tally to 177 with a hat-trick against former club Borussia Dortmund on Bundesliga Matchday 28, and is less than half-a-century of strikes away from usurping his current mentor. "I assume that Lewandowski will break my Bundesliga goalscoring record in the next two or three years," said Heynckes. "I got 220, so I think he'll be there or thereabouts in two or three more years." For the prolific Pole to succeed, he would have to remain in the Bundesliga. Heynckes has no doubts about that happening, however, in spite of rumoured interest from one of the Bayern coach's former clubs, Real Madrid. "I've not heard of anything happening with Real, but I know how things work with these rumours in Spain," added the 72-year-old. Lewandowski currently sits level with Dieter Müller and Klaus Allofs, and two behind Stefan Kuntz in the Bundesliga's all-time scoring charts. Another five goals from the final six games of the season would see him overtake Ulf Kirsten in sixth place – a feat which would certainly not be beyond Lewandowski, already one of the Bundesliga's all-time greats.